If I could have or do any three things in the world what would they be? 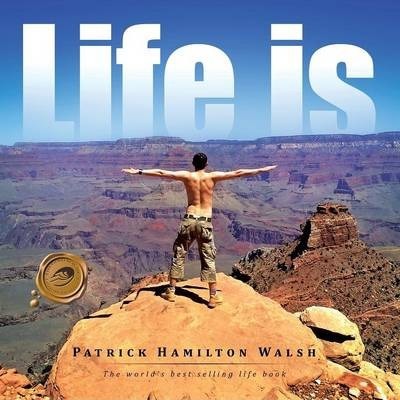 This is the simple question that Patrick Hamilton Walsh asked himself at the age of 16. The answer to this question would lead him to living the life of his dreams. 'Life is' details, in an open and honest manner, the goals that Patrick set for himself as a 16-year-old and the mindset that he had to develop in order to achieve these goals. Upon the fulfilment of those early goals, Patrick set his sights on ever-greater goals, such as: -Travelling overland from London to Sydney -Breaking a Guinness World Record for a good cause -Owning a Porsche before age 30 -Swimming off the coast of every continent -Attending dinner with the President In 'Life is', Patrick details how he achieved his goals, gives an insight into each experience and details what he plans to do in the future. The final section of the book contains a surprising twist that everyone in this rat-race world will relate to. This is a book for anyone that carries unfulfilled potential or has a dream yet to be fulfilled. Ultimately, this is a book for anyone that has the desire to do more.